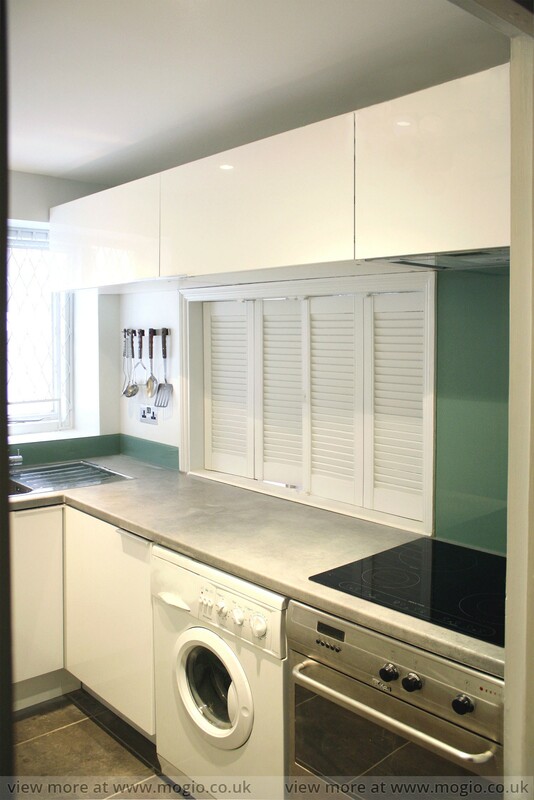 If you’re looking for a safe but effective kitchen redecoration move, try white kitchen cabinets. They will provide a timeless appeal, and open up your kitchen to an airy space. White kitchen cabinets are versatile. They can be paired with nearly any color walls and floor for a stunning effect. This flexibility means that you can let your creativity go beyond boundaries. White kitchen cabinets are also a timeless fixture. In a country-inspired kitchen, a modern minimalist kitchen or any style in between, they’ll be perfectly at home. As they compliment any architecture and style, white kitchen cabinets are a perfect starting place for almost any interior design. Realised by Mogio project presents combination of white kitchen cabinets with ceramic stone imitating floor tiles and work top. In addition to all of this,the white color will make your kitchen feel light and spacious. This will make eating, chatting and cooking a much more enjoyable experience. 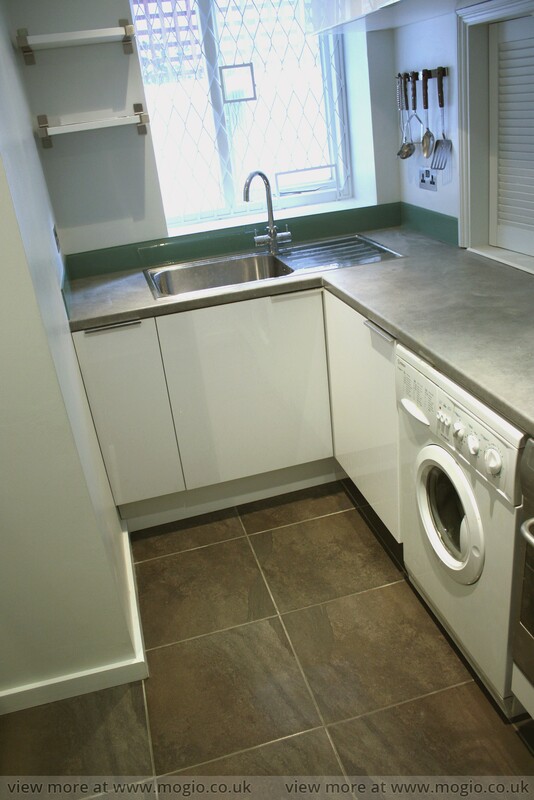 Another practical step taken within kitchen refurbishment were concealed appliances that can make a kitchen feel like any other room of the house. By hiding a refrigerator, oven and other appliances, you can transform a kitchen into an all-purpose room that is open and inviting. 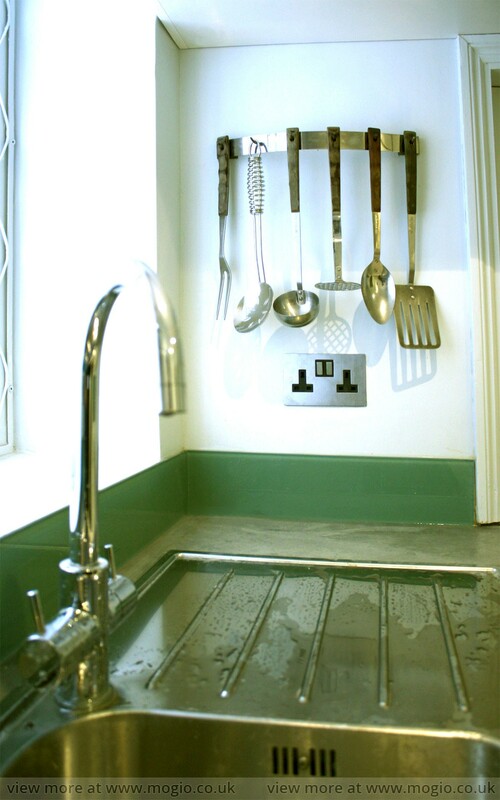 It’s quite easy to conceal your appliances, especially if you’re in the process of renovating. They are all already up against a wall, so it’s only a matter of either building a cabinet around them or moving them into a nook or corner. Built in appliances can make your kitchen appear more inviting and spacy.